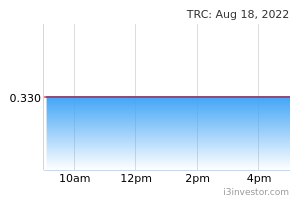 • Yesterday, TRC gained 4.0 sen (+7.41%) to close at RM0.580 on the back of better-than-average trading volume. • Chart-wise, has been on a rally since closing above its key SMAs in early November. 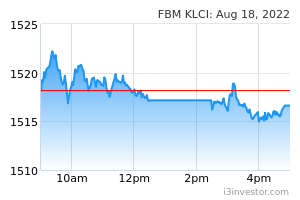 Notably, the share broke and closed above its previous swing high of RM0.570, suggesting that strong buying momentum. • Key momentum indicators are also showing meaningful upticks further suggesting the possibility of a continuation rally. • Should the buying momentum continue, we look towards RM0.615 (R1) and RM0.675 (R2) as levels of resistance. • Conversely, support levels can be identified at RM0.570 (S1) and further down at RM0.520 (S2). 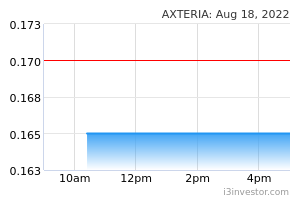 • ACOSTEC gained 1.5 sen (+3.53%) to close at RM0.440 yesterday. • Chart-wise, the stock has been on an uptrend since August, rallying to a high of RM0.490 with yesterday’s move positioning it close to testing the RM0.445 (R1) resistance level. • Given that momentum indicators appear to be improving as displayed by the MACD bullish crossover, we look towards immediate resistance at RM0.445 (R1). Should follow-through buying continue, we expect the share to trend towards its previous high at RM0.490 (R2). • Conversely, immediate support level can be found at RM0.420 (R1) and RM0.400 (R2) further down.